New Year’s Resolutions – have you started yours yet? After the manic Christmas rush I have actually managed to throw myself back into some level of fitness routine too – because when you are a busy working mother it is a challenge to grab a few minutes, let alone a head to a gym class. Loads are people are doing Dry January – good on them – but I like a glass of wine here and there to wind down… so not sure if I’ll personally make it through January without a cheeky glass with a meal or at the end of a long week. I was inspired in 2018 by many of my clients, including my stunning red-headed bride, and by this sparkly New Year’s make-up… little reminders that it is important to look your best so you feel your best and to add a little sparkle or colour all year round, bot just for festive parties or weddings. Please check out some of my work, including my press page, and my portfolios. I am available to do makeup and simple hairstyles for TV commercials, corporate video and other projects such as shoots. 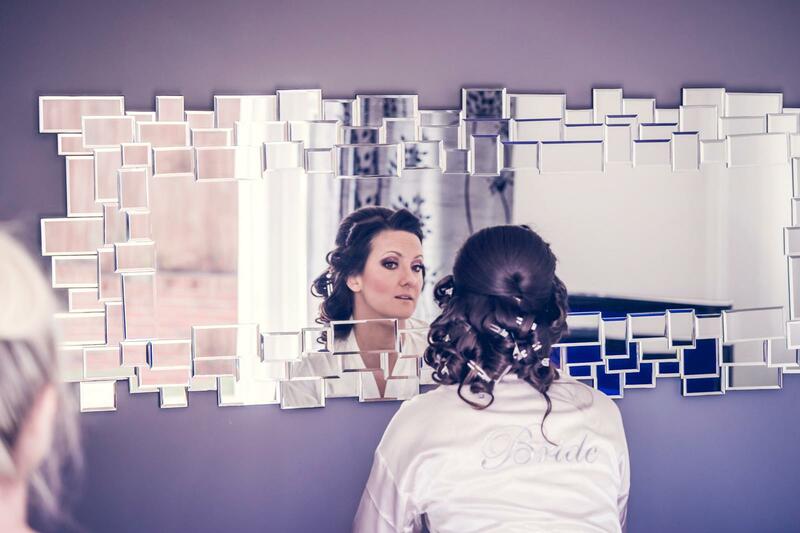 Remember to check out my bridal services… I love working with brides on their makeup. A few brides have asked if I am yet offering my hair services… at the moment I am concentrating on the make-up, nails and beauty for bridal… but I’ll keep you posted when that changes. I have some really exciting projects in the pipeline this year – so please stay in contact. Happy New Year… are we connected on Instagram yet?